There’s nothing better than stepping out of a warm shower or bath and into the comfort of a well-heated bathroom. Our bathroom underfloor heating will make getting out of bed on a cold morning that much easier. Your warm feet will thank you! A well-heated bathroom dries out quickly after use and if you live in a particularly cold area can prevent your pipes from freezing over. Speedheat offers the most comfortable heating solutions for your bathroom. 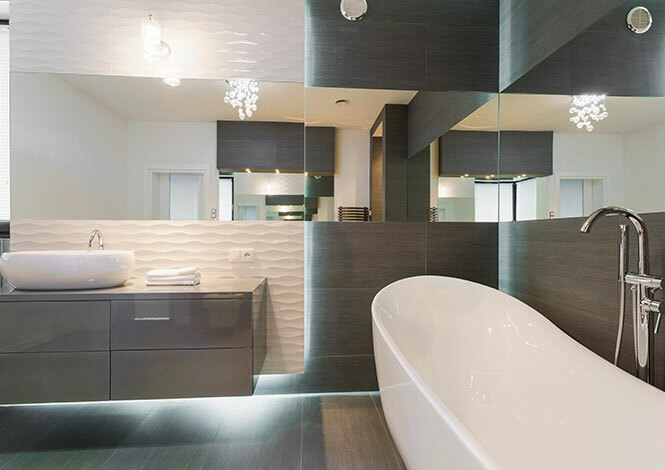 While there are many solutions to keeping your bathroom warm, one that is cost-effective, safe and sure to add immeasurable value to your home is underfloor heating. Our bathroom underfloor heating is durable, environmentally friendly and extremely cost-efficient. Speedheat electric underfloor bathroom heating keeps your bathroom warm from the ground up. Insulating the foundations of your home, our radiant heating system is 100% safe with no risk of burning, keeping the floor at a comfortable temperature. Radiant heat warms the lower half of the room, surrounding the occupants with warmth and achieving that warm feeling at an overall lower temperature than a conventional heating system. A typical bathroom fan heater blows warm out any cracks or gaps in the door or walls, wasting heat and energy. Underfloor heating does not blow air around, so much less heat can escape. With Speedheat’s quality installation, bathroom heating is maintenance free, providing years of comfort and warmth to your home. Providing innovative solutions for every bathroom, we can even heat the mirror to prevent condensation. Annoying condensation on the bathroom mirror becomes something of the past. Keep your feet warm this winter with an effective and efficient bathroom heating solution. Request a quote, brochure or call us on 9041 2852 today. With Speedheat, your customized heating solution can be installed to suit your requirements. It only heats the areas you choose to heat. 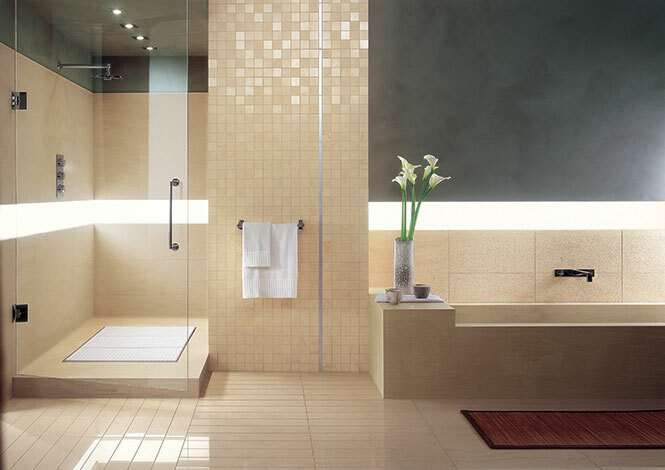 Each under tile heating system is 100% waterproof, making it ideal for your bathroom. You control the temperature with the innovative and user friendly digital clock thermostat. Speedheat mirror and bathroom heating offers comfort and convenience. The thin self-adhesive prevents condensation on your mirror. Speedheat mirror and bathroom heating is fully earthed. It uses less energy than a light bulb and is safe. In addition to custom sizes, a number of pre-built sizes of mirror demisters are available. Copyright © 2019 Speed Heat. All Rights Reserved.